Optoma's latest projector, the HD82, is something of a beast in the AV market. 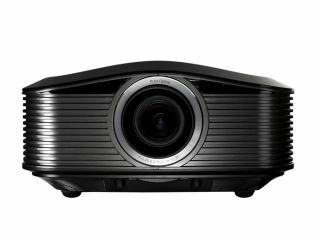 The projector displays 1080p resolution, 1300 ANSI lumens, and a 20000:1 contrast ratio. If that's not all, there's some new technology under the bonnet, which guarantees to perk up the dullest of pictures. Optoma's PureEngine technology is a veritable colour booster. Comprising PureMotion, PureColor, and PureDetail, the results are a dramatic improvement in motion, colour and image detail, according to its makers. Connectivity consists of dual HDMI ports, S-Video and DVI ports hubs. Aspect ratio is 16:9. For those that want an easy life setting up their projector, then the HD82 could be for you. Optoma guarantees that, once installed, absolutely no maintenance will be required, and colours well maintain their vibrancy for at least the next five years. The Optoma HD82 projector is out now, with pricing a penny under £3,000.